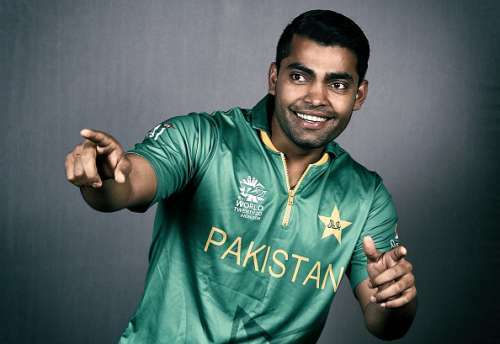 Once again, discarded Pakistan cricketer Umar Akmal is in the news, this time not for his behaviour or fitness, but for being trolled on social media after posting a picture of himself alongside a "Bentley" on Twitter with a caption "Enjoying London after hard work". However, Akmal must have been disappointed as the post didn't get the positive reaction he would have hoped for. Akmal, who is not a part of the Pakistan cricket team after being dumped by the PCB from the annual central contract list, was trolled from all quarters by the fans. Some comments read, "Forget the car you need to get on a treadmill", "From where did you get money to buy a BENTLEY ????? I think you just clicked a pic with someone's car" etc. Konsa hard work ? contract tu tuje mila nahi fitness teri hai nahi #HardWork ??? Just enjoy in London and please don't play cricket becoz you have nothing to showcase. Where did you steal that car? Sell that car if you don't have money to return to Pakistan. After seeing the backlash from the fans, Akmal replied to his own post and asked the fans not to make any negative comments. In spite of this, the fans continued to take a jibe at the right-hander. Ever since making his debut, Akmal has failed to live up to his talent and instead, he has been in and out of the ODI side due to poor form, fitness and getting himself involved in several disciplinary issues. Earlier this year, he had a spat with pacer Junaid Khan in the Pakistan Cup and still, he was picked in Pakistan's 15-member squad for the Champions Trophy. He was later asked to leave the team after failing two fitness tests in two days. Last week, Akmal was not included in the PCB central contract that had 35 cricketers being classified into four categories: A, B, C and D. Akmal has represented Pakistan in 16 Tests, 116 ODIs and 82 T20Is with his last match in each of these formats coming in 2011, January 2017 and 2016 respectively. If Akmal does not work on his form and fitness, his cricketing career might be all but over.